Summary: BOC Sciences APP is a self-developed software considering large number of users and customers tending to utilize mobile devices. BOC Sciences APP brings better experience than its mobile friendly websites in terms of easier entrance, smoother browsing and convenient access to the specific chemicals and their reference papers or articles that hold by online official site. What Is It? 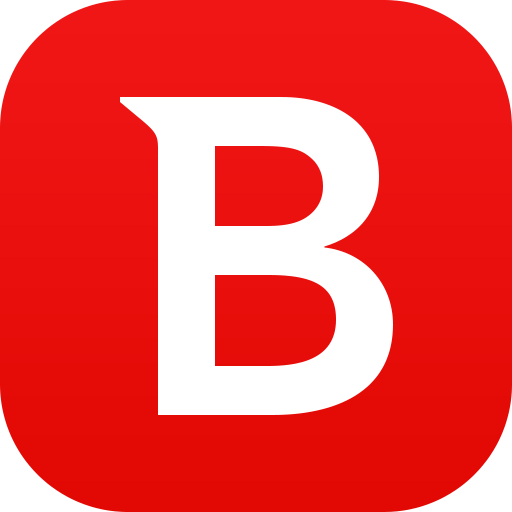 BOC Sciences APP is a self-developed software considering large number of users and customers tending to utilize mobile devices. The trend that both business and personal users shift away from being tethered to desks and instead choose to access the internet with mobile devices is because it allows internet surfing any time from anywhere. 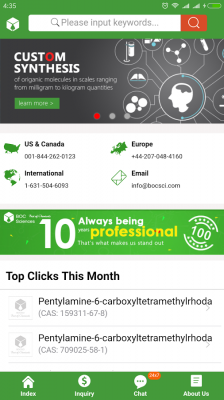 BOC Sciences APP brings better experience than its mobile friendly websites in terms of easier entrance, smoother browsing and convenient access to the specific chemicals and their reference papers or articles that hold by online official site. 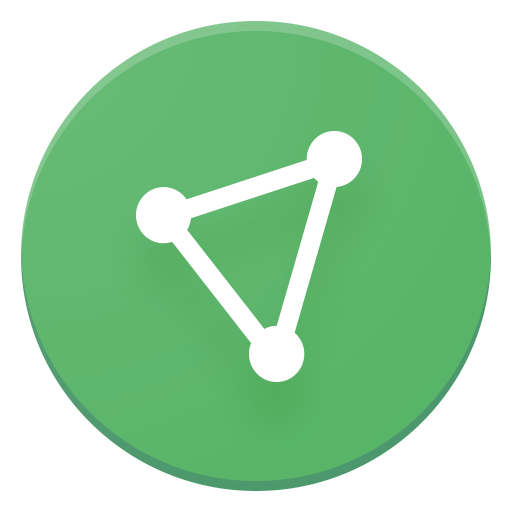 With this app, users could search, view and buy chemicals or professional information checking by simply going through ipad or phones. 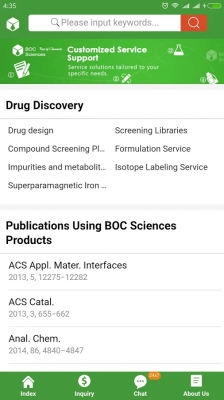 BOC Sciences APP provides a wide range of research chemicals and biochemicals covering inhibitors, building blocks, GMP Products, impurities and metabolites, APIs for Veterinary, Natural Compounds, ADCs, Stem Cell Molecule and chiral compounds, as well as various related services like organic synthesis, isotope labeling etc. Services Easy to find common service, such as chemical synthesis, stable isotope labeling, chiral synthesis and so on. Quick to study the mechanisms and functions about the services. Products Quick to search chemicals when use a CAS number or chemical name. Find popular chemicals in our field. Easy to seek brief information about the chemicals. For example molecular weight, molecular formula, solubility, target etc. Tools BOC Sciences will update some useful tools that can easily calculate dilutions and molarity. Online Support Easy to contact us by clicking chat and leave us a message. Well handle your inquiries rapidly and appropriately.